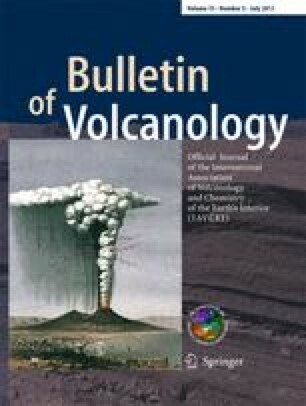 Active volcanoes are thought to be important contributors to the atmospheric mercury (Hg) budget, and this chemical element is one of the most harmful atmospheric pollutants, owing to its high toxicity and long residence time in ecosystems. There is, however, considerable uncertainty over the magnitude of the global volcanic Hg flux, since the existing data on volcanogenic Hg emissions are sparse and often ambiguous. In an attempt to extend the currently limited dataset on volcanogenic Hg emissions, we summarize the results of Hg flux measurements at seven active open-conduit volcanoes; Stromboli, Asama, Miyakejima, Montserrat, Ambrym, Yasur, and Nyiragongo.. Data from the dome-building Soufriere Hills volcano are also reported. Using our determined mercury to SO2 mass ratios in tandem with the simultaneously-determined SO2 emission rates, we estimate that the 7 volcanoes have Hg emission rates ranging from 0.2 to 18 t yr-1 (corresponding to a total Hg flux of ~41 t·yr-1). Based on our dataset and previous work, we propose that a Hg/SO2 plume ratio ~10-5 is best-representative of gas emissions from quiescent degassing volcanoes. Using this ratio, we infer a global volcanic Hg flux from persistent degassing of ~95 t·yr-1 . The authors acknowledge M. Edmonds, R. Herd, G. Giuffrida, N. Bobrowski, S. Gurrieri, P. Bani, T. Ohminato, and many others for their support during field work.